If you’re looking for a Sacramento roofing contractor, there are a few points you should know. First, it is important that you seek a licensed contractor who will have local and state guidelines to adhere to. This is important for getting the job done right and protecting your home. Unlicensed contractors may cut corners and end up causing you problems in the long run. Get References. 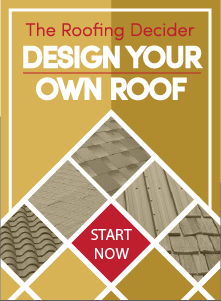 Do your research before hiring a licensed Sacramento roofing contractor. Check their on-line site for references. Or, just ask the contractor; a reputable contractor will provide them for you. Compare Prices. Before you make a choice, check competitors’ prices. Try for at least three quotes. Compare the quotes, making sure they include costs of materials. If you find a quote that is significantly lower, ask why. Some times you get what you pay for. Insurance. Make sure the contractor you hire is taking proper care of their workers, thinking about possible damages, and protecting you. A good contractor will have insurance; ask for proof. Otherwise, if something happens, you could be liable. Communication. Good communication is a key sign of a good contractor. When you call, do they get back in a timely fashion? Can they provide the proper answers to questions? This could be an indicator of what’s to come. Professionalism. Are they prompt? Do they look well groomed and dressed? When you meet them, do they conduct themselves with a professional attitude? Don’t Be Afraid to Ask Questions. A great contractor will have no problem answering questions. They can explain the processes, inform you on the materials and give you a good estimate on the time a job will take. Straight Line Roofing of Sacramento is a fully licensed General Building Contractor with additional classifications for things like gutters, insulation, solar, etc. We are fully insured and believe that safety training for all our employees is important. Having our trained employees do the work on our projects is important, therefore we do not subcontract any of the work. When you need a Sacramento roofing contractor, Straight Line Roofing is the company to hire. We will work hard to provide the best in services to you.